A person may choose the acts of devotion for himself, or better still, have them determined by his spiritual director. Particular care should be taken to avoid even the least voluntary venial sin and fault. By a Novena pious Catholics prepare themselves for the feasts of our Lord, the Blessed Virgin or a particular saint; or pay honor to a special mystery of our holy religion. 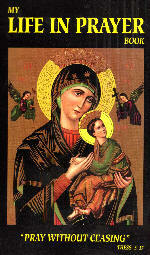 The first Novena was made by the Blessed Virgin and the Apostles, at the command of our Lord Himself. It lasted from the Ascension of Christ into Heaven until the descent of the Holy Ghost on the feast of Pentecost.